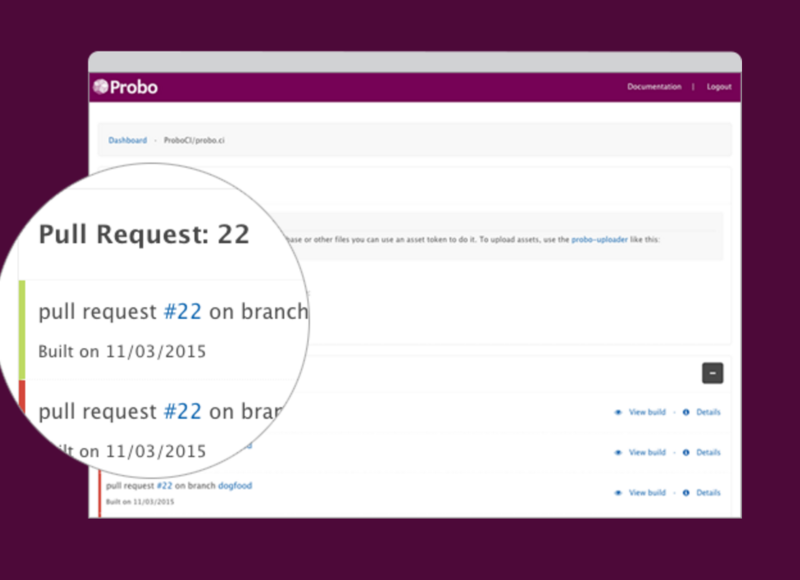 Probo.CI, a new automated testing tool, dramatically improves teamwork on web projects. Probo.CI saved days of senior developer time. It’s time to speed up the process of reviewing and deploying code changes. 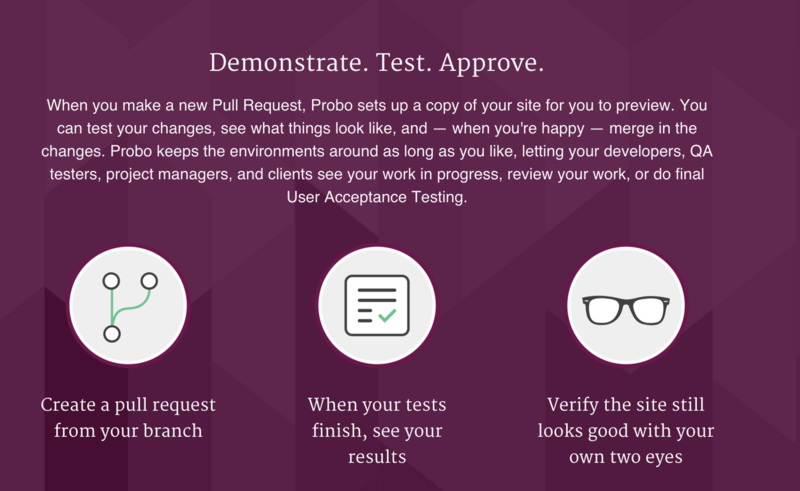 Getting web development projects out the door is now a lot easier and faster with Probo.CI, an open source continuous integration tool that allows stakeholders to collaborate, test and review changes. Say goodbye to the laborious process of software development where the development team deploys changes and hopes that the result is what the business owner, marketing team and project managers actually want. Probo spins up a test instance of your work and provides a sharable link that can be sent to all decision makers before changes are merged. It’s a dramatic improvement. With Probo, quality assurance is now built into the business process. Probo is different from other CI tools on the market in that it does not tear down your environment, but instead posts a link so that the entire team can review new features or bug fixes. Project managers can always see how tasks are progressing and developers can get immediate client feedback. Probo is designed to be easy to extend and easy to wire into a broader devops ecosystem. It’s the only automated testing tool with quality assurance (QA) and user acceptance testing (UAT) built right in. Probo is also much less expensive than other CI tools. 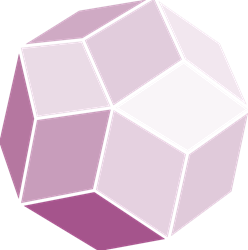 Not only is the open source code available at no cost, but a basic account with 1 GB of disk space is free. With a total of five pricing tiers, there’s a size that works for every business, from startup to enterprise. "Using Probo on DKAN, our open source open data platform, has been a huge win for us,” said Aaron Couch, Director of Engineering at NuCivic. “We love not having to maintain our own servers for QA sites." Probo is a product of Zivtech, a distinguished open source web and app development agency based in Philadelphia. Zivtech is a fast growing company that designs and implements digital solutions for dozens of organizations in a wide variety of sectors. Probo CI grew out of a need to accelerate the development process internally; once the product was built, there was a demand to share it with a greater audience. For more information about Probo CI and pricing details, contact info(at)probo(dot)ci.